For many, Christmas morning brings back fond memories. 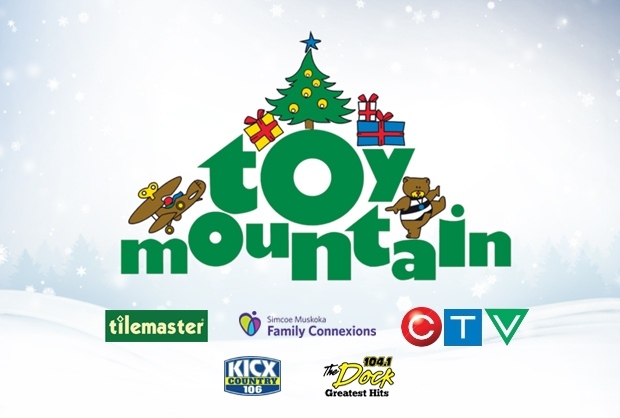 Your donation to CTV Barrie’s Toy Mountain, in partnership with Tilemaster, will help hundreds of children build a mountain of memories of their own. 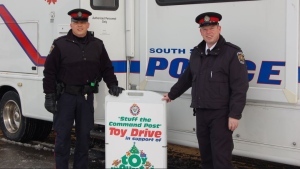 A new unwrapped toy, gift card or cash donation will make Christmas brighter for families who use the services of Simcoe Muskoka Family Connexions. Beginning on Nov. 19 to Dec. 19, drop your unwrapped gift at CTV Barrie, located at 33 Beacon Road, during regular business hours Monday through Friday, or at either of the Tilemaster location in Barrie. You can also drop off donations at 104.1 The Dock at 355 Cranston Crescent in Midland or KICX 106 at 25 Ontario Street in Orillia. 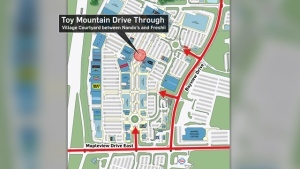 And for those wishing to drop off toys in the Muskoka area, you can go to Kubota North at 1677 Winhara Drive in Gravenhurst. Let’s give the kids a Christmas to remember! Join us on Tuesday, December 18 between 5:30 p.m. and 7 p.m. at Park Place in Barrie by the big fireplace and Christmas tree.